Chicago-based Grant Thornton LLP (FY13 net revenue of $1.3 billion) named Doreen Griffith OMP of its Greater Bay Area practice. She will oversee the growth and operations of the San Francisco and San Jose, Calif., offices. Most recently, Griffith served as national MP of tax services for Grant Thornton. She succeeds Jeff Pera, who will continue to support the Greater Bay Area practice. Since joining Grant Thornton in 2003, Griffith has served in a number of roles with increasing responsibility, including tax practice leader for the Greater Bay Area and regional tax partner. 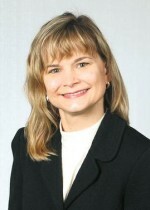 She also served as the OMP of the firm’s Honolulu practice.